A fight on a tower in the Kourmonen system in the Bleak Lands region between Did he say Jump [JMP-N] Rattlesnake fleet and a Dead Terrorists [IKILU] Machariel fleet ends with Pandemic Legion [-10.0] entering the scene after the two disengage, leading to the loss of the tower for Dead Terrorists. 14/11 FETID and Dead Terrorists versus Blinky Red Brotherhood and No Handlebars. A fight over a tower in the Egmar system in the Metropolis region between a joint FETID [FETID] and Dead Terrorists fleet of Machariels and Proteus strategic cruisers and a similar fleet composition by Blinky Red Brotherhood and No Handlebars. saw the two clash in a very close and personal brawl. The-Culture [-T C-], formed by a faction in the now defunct Black Legion. [MEN. ], have been living in the Fountain region since their BL closed. This of course meant they’d come into conflict with the original residents of the region who live in the heart of the region’s NPC cluster. One such skirmish between a The-Culture Ferox battlecruiser fleet and a Fountain Core mixed Vulture command ship\Ferox fleet in the C-N4OD on a gate led to a rather bloody and somewhat even exchange as depicted by the video. 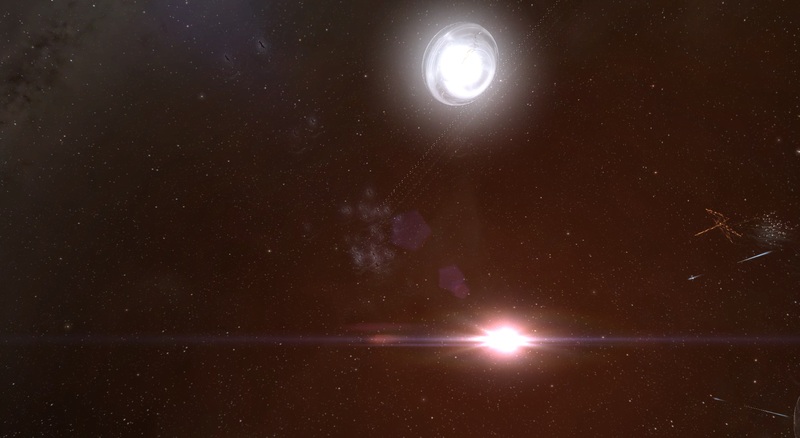 Reavers Squadron continues its harassment of Test Alliance Please Ignore [TEST] in the Wicked Creek region, this time in the Q-GQHN system. The fight on the 1L-OEK gate between Test Alliance Please Ignore’s Cerberus fleet, reinforced by Solyaris Chtonium [SLYCE] Rattlensake fleet and a Reavers Squadron’s Ishtar fleet became a rather one sided bloody exchange, especially when a Pandemic Legion Proteus fleet entered the fray on Test Alliance Please Ignore’s side. As Northern Coalition. continues to ravage the North of New Eden, one of its Ishtar fleets were caught in transit in the MO-FIF system in the Vale of the Silent region by an Imperium Proteus fleet. The resulting fight on the MA-XAP gate captured on film. A battle in the system of Tama in the Citadel region between a Snuffed Out [B B C] Absolution command ship fleet with triage carrier support and a Spectre Fleet Hurricane battlecruiser fleet ends with a Gallente Militia Absolution fleet intervening in the fight to the detriment of Snuffed Out. A fight over a tower in the Kourmonen system between joint Gallente Militia and Did he say Jump Apocalypse Navy Issue battleship fleet and a Dead Terrorists Machariel battleship and Shadow Cartel [SHWDC] Proteus strategic cruiser fleets turned rather bloody as evidenced in this video. Elo…err Raknor you are still the FC of my heart! Ty TC for that nice fight in C-N, I hope we can repeat that again.